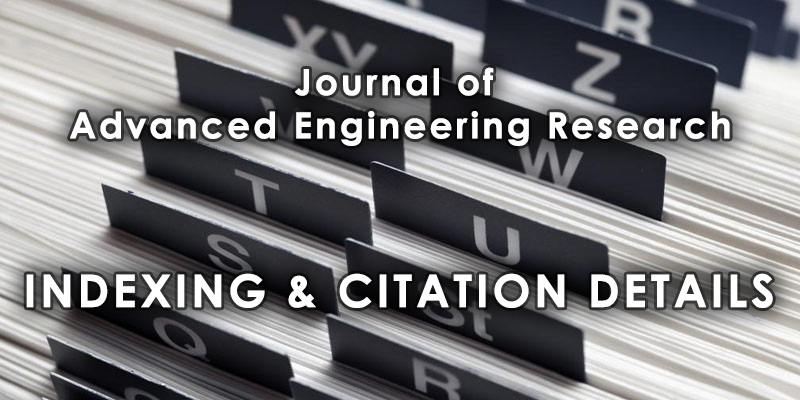 JAER: Journal of Advanced Engineering Research is an international peer reviewed, multidisciplinary, online journal published by Indtech Publisher for the enhancement of research in various disciplines of Engineering and Technology. The journal publishes analyses, reviews, evaluations, and expositions of knowledge that can be applied or adapted to a range of engineering & technology applications. For details on Indexing & Citations click here.